Company To Hold Conference Call and Webcast Today, Thursday, February 7, 2019 at 4:30 PM EST. STONY BROOK, N.Y. February 7, 2019 – Applied DNA Sciences, Inc. (NASDAQ: APDN) (“Applied DNA” or the “Company”), announced financial results for the fiscal 2019 first quarter ended December 31, 2018. “Our performance for the quarter reflects a consistent year-over-year foundation to our cotton business and continued execution under our multi-year contracts with the U.S. Department of Defense, as well as further progress made on our joint development agreements with partners in cannabis and pharmaceuticals,” said Dr. James A. Hayward, president and chief executive officer of Applied DNA. “During the quarter we saw the first CertainT®-certifiable synthetics home textiles products committed by retailers, a bellwether milestone for other manufacturers of CertainT synthetics in our pipeline. We also moved to refine our go-to-market and partnering strategy to drive tighter focus on select verticals and geographies. “Subsequent to the close of the quarter, we announced two non-binding MOUs to enter the Asian supply chain market in Taiwan: with Sun Chemical Supply Co. Ltd (“Sun Chemical”) that offers us geographic and domain knowledge in selling and supporting textile manufacturers in China and other Asian countries; and with Tex-Ray Industrial Co., Ltd (“Tex-Ray”), a world-leading innovator and supply chain integrator in performance fibers and fabrics that gives us entrée to supply chains spanning three continents and serving global brands. To help shape the go-to-market strategy and business development efforts and to accelerate our sales cycle, we appointed Stephen Birkhold to our Strategic Advisory Board, who brings a long and stellar history in brand management to hone our strategy in this market. Revenues increased 37% for the first quarter of fiscal 2019 to $884 thousand, compared with $648 thousand reported in the first quarter of fiscal 2018, and decreased 26% from the $1.2 million reported in the fourth fiscal quarter ended September 30, 2018. The year-over-year increase in revenues was due primarily to an increase in service revenues of $265 thousand. The increase in service revenue as compared to the same period in the prior fiscal year was the result of increases in our pharmaceuticals and nutraceutical market for pre-commercial pilots as well as an increase for our cannabis systems development and go-to-market initiative. The quarter-over-quarter decrease in revenues reflects a change in revenue recognition accounting standard for cotton DNA actually shipped at quantities roughly equal to last year, as detailed below. Effective October 1, 2018, the Company was required to adopt Accounting Standards Update (ASU; the “Update”) No. 2014-09, Revenue from Contracts with Customers (Topic 606), utilizing the modified retrospective method. Had the Company not adopted the Update, the Company would have recognized additional revenue of approximately $391,000 during the first quarter of fiscal 2019. This amount was primarily comprised of the recognition of $383,000 under a $1.15 million cotton order shipped in June 2018. The total cumulative impact of the Update that was recorded to opening retained earnings in fiscal 2019 was approximately $495,000. See Cumulative Effect Adjustment and the Impact on Current Period Financial Statements of Adopting Topic 606 attached. Total operating expenses increased to $3.9 million for the first fiscal quarter of 2019, compared with $3.5 million in the prior fiscal year’s first quarter. This increase is primarily attributable to an increase in stock-based compensation expense. Net loss for the quarter ended December 31, 2018 was $3.2 million, or $0.11 per share, compared with a net loss of $3.2 million, or $0.12 per share, for the quarter ended December 31, 2017 and a net loss of $3.5 million, or $0.12 per share for the quarter ended September 30, 2018. Excluding non-cash expenses, Adjusted EBITDA was negative $2.6 million for the quarter ended December 31, 2018 and $2.8 million for the same quarter in the prior fiscal year. In early February 2019, Applied DNA received a purchase order to ship over $500,000 of diagnostic DNA amplicon in partial shipments over the next 12-18 months. On February 6, 2019, the Company announced that cannabis partner TheraCann International and Israeli Cannabis (“iCAN”) had in November 2018 signed a bilateral agreement that enabled iCAN to market TheraCann’s ETCH Biotrace solution that is based, in part, on Applied DNA’s CertainT® platform. This bilateral agreement potentially catalyzes the use of Applied DNA’s technology in exported Israeli cannabis. On January 29, 2019, Applied DNA appointed Stephen Birkhold to its Strategic Advisory Board. Birkhold, a 30-year veteran of the fashion industry, will lead the development of a new sales, marketing and go-to-market strategy for the Company’s technology platform in the fashion and luxury apparel and accessory markets. Birkhold is the former CEO of several of the world’s most prominent apparel brands, including Bebe Stores, Lacoste, Diesel and Earl Jeans, along with achieving a 10-year tenure at VF Corporation working with Lee Jeans and Nautica Jeans. On January 28, 2019, the Company announced the signing of a non-binding MOU with Taiwan-based Tex-Ray, a pioneer in performance fabric and smart clothing for modern active lifestyles. If a definitive agreement is entered into, Tex-Ray would facilitate the introduction of Applied DNA’s CertainT® authentication platform to its established supply chains in service of large global brands. On December 26, 2018, the Company closed on a $2.75 million public offering of common stock and warrants. Subsequent to end of the first fiscal quarter, Maxim Group exercised its overallotment option that resulted in additional gross proceeds of approximately $250 thousand to Applied DNA. On December 10, 2018, Applied DNA signed a joint development agreement with Everledger to develop and market a CertainT-enhanced, blockchain-based platform for provenance verification. The two companies believe this joint solution platform to be at the forefront of linking immutable digital transactions with synthetic molecular authentication to tightly track movement and chain of custody of forensically-identified goods across complex ecosystems. On October 4, 2018, the Company announced the appointment of Wayne Buchen as Vice President of Strategic Sales to lead the Company’s global textile Strategic Sales efforts. With over 20 years of sales, sourcing and operations experience with established international brands, Mr. Buchen leads the development and execution of sales strategies to expand Applied DNA’s presence across global textile markets. 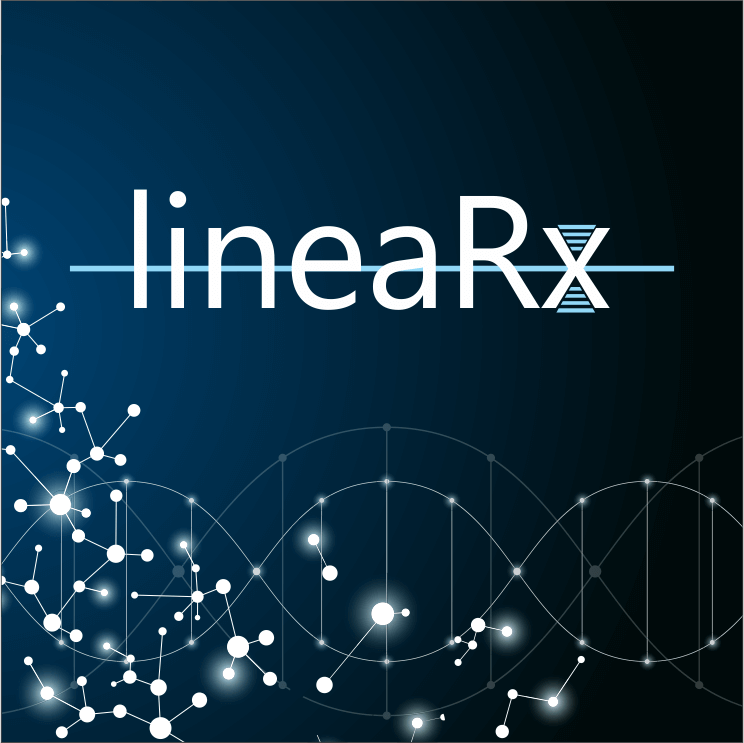 On September 18, 2018, Applied DNA announced the formation of LineaRx, whose purpose is to commercialize Applied DNA’s extensive experience in the design, manufacture and chemical modification of DNA by large scale polymerase chain reaction in the field of biotherapeutics, specifically gene and cellular therapies as well as vaccines. 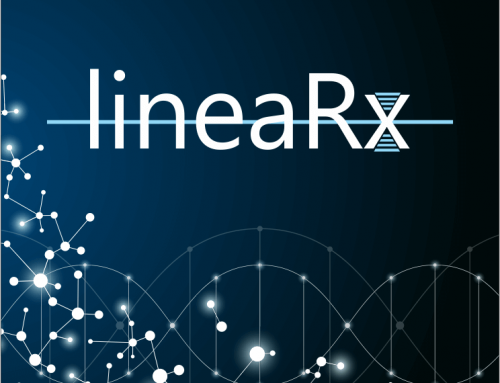 Management subsequently held an analyst day via webinar to address the potentially critical role the LineaRx platform can have in the future of gene therapy, vaccines and adoptive cell therapies. The Company will hold a conference call and webcast to discuss its fiscal first quarter-end 2019 results on Thursday, February 7, 2019 at 4:30 PM ET. To participate on the conference call, please follow the instructions below. While every attempt will be made to answer investors’ questions on the Q&A portion of the call, due to the large number of expected participants, not all questions may be answered. For those investors unable to attend the live call, a copy of the presentation is expected to be posted by end of business on February 8, 2019 and available under the ‘Events and Presentations’ section of the company’s Investor Relations web site: http://adnas.com/adnas_home/investors/. As used herein, “GAAP” refers to accounting principles generally accepted in the United States of America. To supplement our condensed consolidated financial statements prepared and presented in accordance with GAAP, this earnings release includes Adjusted EBITDA, which is a non-GAAP financial measure as defined in Rule 101 of Regulation G promulgated by the Securities and Exchange Commission. Generally, a non-GAAP financial measure is a numerical measure of a company’s historical or future performance, financial position, or cash flows that either excludes or includes amounts that are not normally excluded or included in the most directly comparable measure calculated and presented in accordance with GAAP. The presentation of this non-GAAP financial information is not intended to be considered in isolation or as a substitute for, or superior to, the financial information presented in accordance with GAAP. We use this non-GAAP financial measure for internal financial and operational decision-making purposes and as a means to evaluate period-to-period comparisons of the performance and results of operations of our core business. Our management believes that these non-GAAP financial measures provide meaningful supplemental information regarding the performance of our business by excluding non-cash expenses that may not be indicative of our recurring operating results. We believe this non-GAAP financial measure is useful to investors as they allow for greater transparency with respect to key metrics used by management in its financial and operational decision making. “EBITDA”- is defined as earnings (loss) before interest expense, income tax expense and depreciation and amortization expense. “Adjusted EBITDA”- is defined as EBITDA adjusted to exclude (i) stock-based compensation and (ii) other non-cash expenses. Applied DNA is a provider of molecular technologies that enable supply chain security, anti-counterfeiting and anti-theft technology, product genotyping and DNA mass production for diagnostics and pre-clinical nucleic acid-based therapeutic drug candidates.